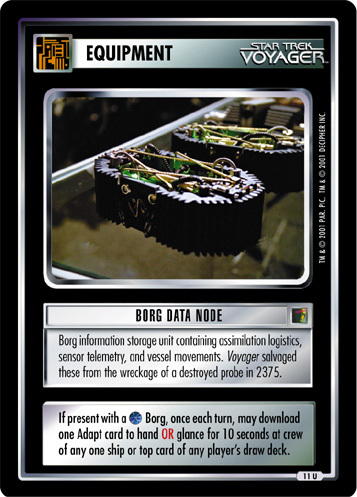 Seed one during facility phase on any spaceline end OR play on any spaceline location where you have a Borg. 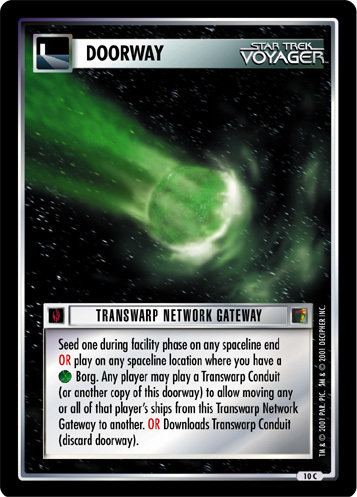 Any player may play a Transwarp Conduit (or another copy of this doorway) to allow moving any or all of that player's ships from this Transwarp Network Gateway to another. 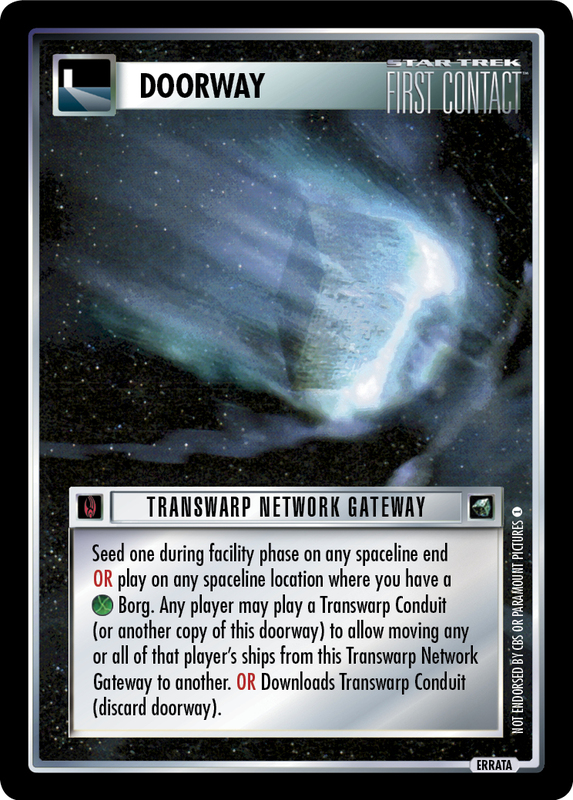 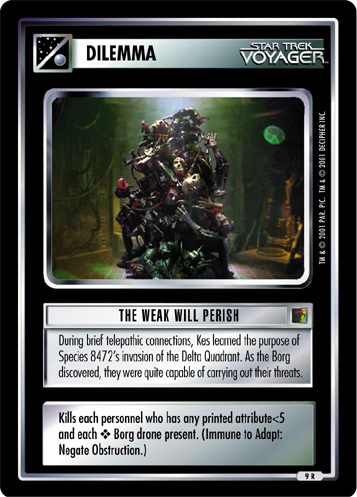 OR Downloads Transwarp Conduit (discard doorway).